The National Democratic Alliance (NDA) government has done it yet again. It has taken an issue as important as the regulation of surrogacy services in India and turned it into an ideological battleground. According to the government, its draft Surrogacy (Regulation) Bill, 2016 is aimed at ensuring effective regulation of surrogacy and prohibiting commercial surrogacy, while “allowing ethical surrogacy to the needy, infertile Indian couples”. Commercial surrogacy refers to an arrangement where the surrogate mother is compensated beyond her medical expenses for the surrogacy services provided. However, the bill is exclusionary and highly controversial at best. First, it focuses exclusively on surrogacy at the cost of ignoring the regulation of other assistive reproductive technologies such as in-vitro fertilisation, sperm donation, etc. Two, it raises some serious questions about the Government of India’s commitment to protect and promote the constitutional, reproductive and human rights of Indian citizens. According to information in the public domain, the bill bars unmarried couples, single parents, live-in partners and homosexuals, among others, from availing of surrogacy services in India. While seeking to ban commercial surrogacy to prevent exploitation of surrogate mothers and children, the bill controversially permits only those Indian couples who have been legally married for at least five years to access surrogacy services. The bill’s other limiting criteria include allowing only “close relatives” to become surrogate mothers. Apparently, some of these criteria have been put in place to protect “our ethos”, as articulated recently by one of the Central government’s most prominent ministers. With due respect to those responsible for the draft, the bill is poorly conceived and reeks of bias. It is clear even to a layman that the above criteria are meant to exclude a whole section of individuals. 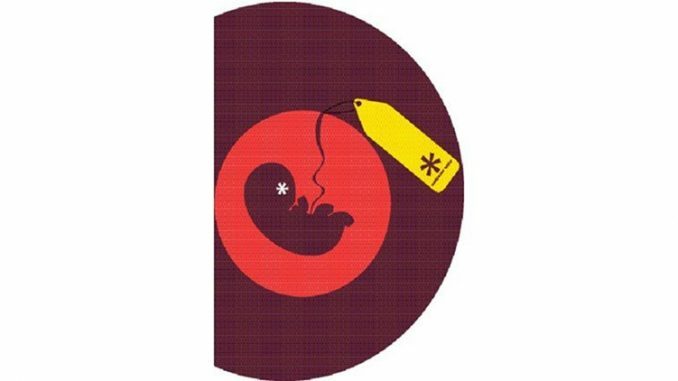 This is a clear violation of Article 14 of the Constitution, which assures every Indian citizen “equality before the law or the equal protection of the laws within the territory of India.” By defining limiting eligibility criteria, the Central government is seeking to deny a host of perfectly suitable individuals who are well within their rights to demand access to surrogacy services. This is certainly a direct contravention of the spirit of our constitution. Additionally, and equally controversially, the bill fails to recognise and safeguard the equal reproductive rights of all women and men, irrespective of their sexual orientation, marital status, economic standing etc. The bill rightfully seeks to stop the physical, emotional and economic exploitation of Indian women through unethical surrogacy practices, and protect the rights of surrogate children. However, it adopts a highly discriminatory approach by not securing the reproductive rights of individuals who may have an alternative lifestyle, including those currently excluded by the bill. As equal citizens of a progressive democracy, all Indian women and men should have the freedom to decide matters pertaining to their reproductive rights. They should have the right to decide when and how they want to start a family. The bill violates fundamental human rights. It is in breach of Articles 7 and 16 of the United Nations-backed Universal Declaration of Human Rights, which call for equality before the law and the right of men and women of full age to found a family. This is particularly ironic in light of the current government’s frequent calls for UN reforms and the country’s rising profile in global decision-making corridors. As right-thinking and proud citizens of this country, we must defend the constitutional, reproductive and human rights of all Indian citizens. We must remind the government that it is the state’s inviolable duty to protect these rights. We must make the government accept that at a time when we are expected to look ahead, we cannot afford to start discriminating against our own people in the name of “ethos”. The government must adopt a rights-based approach that speaks to the needs and aspirations of surrogate mothers, children born out of surrogacy and all individuals who want access to altruistic surrogacy services. By limiting access to surrogacy based on flimsy and exclusionary criteria, the government may just give rise to a mushrooming black market. It will be most sensible of the Central government to take a step back and go in for more consultations with different stakeholders to ensure that a progressive bill is tabled in Parliament.